Starting a business is something that every entrepreneur can do. However, commitment and hard work are required to operate it and make it productive and profitable. The first impression that a company portrays is very crucial in building a stable client base. This is where the necessity of a strong brand comes in. Branding involves the creation of a unique, strong, and memorable image that identifies a business and its products and services. Whether online or offline, a strong brand is among the most valuable assets a business owns. The brand should communicate what the company is all about and what it stands for at all consumer levels. Whether the brand is portrayed in print ads, websites, business cards or letterheads, the brand should be able to clearly portray what a company is all about. Brand helps the customers, as well as employees, relate to the vision which the company wants to convey forward. It is actually a visual representation of company’s portfolio, its motive, and its nature of the business. In short, it gives a full description of business within a single image or a slogan. Today the thing which attracts customer is its appeal. The more is the advertising and marketing of the business, product or service the more chances of expansion. Thus, branding is very important for the business to make it profitable as well to reach good numbers of customers. The process of branding comprises of two key elements; focussing on the internal and external factors that impact on the perception of the customer. The internal brand elements include personality, culture, and self-image. Personality refers to the customer’s perception and description of the brand; culture refers to the social context in which the brand is perceived, and; self-image encompasses the way the brand evokes emotions and feelings from the customer. The external elements of the brand include physique, reflection, and relationship. Physique refers to the physical characteristics of the brand that creates desire within the marketplace to drive consumers to find out what the business is and what they do; reflection refers to the way that the current and potential customers are being managed or nurtured by the branding image, and; relationship refers to the manner in which current and potential customers develop a relationship with the brand. A strong brand engages potential customers at an emotional level. This is a great way to popularize a new product or service in the market. The emotional attachment that will be created by the brand will inspire consumers to buy the company’s products or services. Also, future marketing costs will be reduced. As your brand gains popularity among consumers, they will easily identify your products and services using your strong brand. Such a strong brand will reduce future marketing costs as consumer loyalty will have been gained. Delivering a clear message keeps customers happy. They know what to expect and come to your business to get it. They recognize your logo and think of your reliability when they have a need. If someone asks for what you offer, they remember your business and recommend it. Your logo or website might even be what they share for a future customer to find you. A strong brand is what customers look for. In case you intend to produce other products and services in the future, the reputation of your brand will make it easy for consumers to trust the new products as they will have had previous good experiences with your initial products. A brand is a company’s identity among consumers. A strong brand is the first step towards obtaining consumer favor over your competitors. As more and more consumers begin to trust your products and services, your business will grow to become a household name. If you use a business idea to start your own business endeavor, odds are there are presently some other existing businesses with the same idea as yours. Hence, you must build a brand for your business enterprise which will distinguish yours from your competition. The distinction is an important part of every business venture and when people discover that you have something unique to offer that lets you stand away from the competition, then you’re one step closer to your business objectives. Once you have created your company brand, then that is about the time you should investigate providing good items or service which the brand will be represented with. Generating new leads for your business is actually a tough task in the cutthroat competition and to fulfill it successfully branding is really helpful. It’s because your brand will increase the trust of your customer and attract them to buy your products and services. More and more people trust only the brands because their company reputation is on the edge, and therefore they never compromise is the quality. Branding propels the sales force of the products. If you are able to build a brand which people will readily remember and distinguish for the excellent products, then it helps create an efficient branding technique for the company. The first action for a successful business is making time to inform people know your name, what services you provide, and the means at which you do it. Properly conveying your company’s goals with your brand is an important part of any business branding endeavors. An employee always wants more than just work and when they understand your company’s mission and vision, so, they work more dedicatedly. It can boost their pride and satisfaction as well. They will always feel proud to tell anyone that they work for this brand and therefore, they always work with loyalty. A well-reputed brand will work as a mirror and showcase all your objectives and promises to your clients clearly, which helps them to understand is their expectations get fulfilled from you or not. This may help them to understand how you are better from others and why they need to be your customers. Probably the most common misperceptions that exist with the use of professional aid is that business owners believe it represents a vital cost. While the utilization of any branding would require an investment, its help is by far more significant than wastage of money through an ineffective marketing strategy. With professional branding, your business may establish a marketing strategy and find its strengths and weaknesses. Define your brand’s personality and set a clear purpose. Be really specific when you make the action plan, since it’s going to come in really handy in the next few years. Choose your niche and target audience carefully and set for yourself a personal goal of making people associate that concept with your business! 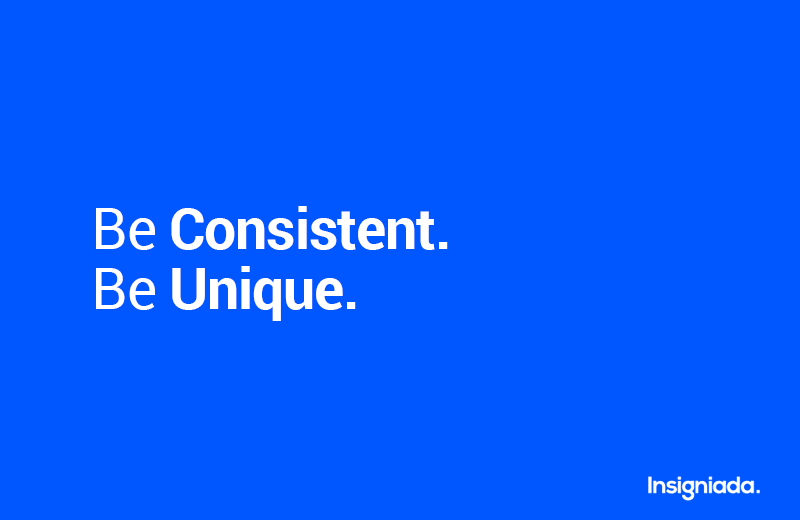 Be unique.This applies to everything you do, from your company’s name and logo to your content and personalized offers. It is also the best way to stand out from the crowd. For example, if you run a certain, be creative and use a memorable character for your site’s logo. It will soon become the perfect ambassador for your business. Be consistent. Besides posting regularly, bringing in high-quality offers and sticking to a defined discussion theme on your site, keep it simple with the design updates. Notice how brands like Coca Cola or Microsoft kept mostly the same logo from day 1? Same goes with your site’s visual identity. Don’t make false promises. Remember they come to you because they are interested in your product. Simplify the processes to make purchases and returns to the customer. Make sure customers that customers walk with a smiling face while leaving your store. Strictly adhere to your commitments. If you have dedicated yourself to some project, make sure you finish it on time. This creates a positive impact in branding your business. Strong brands have excellent design techniques and directly respond to consumers perceptions. They are also well-positioned in different marketplaces for consumers to easily identify and own. A brand is a crucial determinant of whether a new business will succeed or not, and at what rate the success will take place. Strong brands give a message of quality in the products and services advertised by a business. They, therefore, create loyalty and trust among consumers who in the future will always vouch for the company’s products or services. Developing a logo or brand name depends on the vision of a business. The sign, name, symbol, term, or design used in the brand should give value to the goods and services of a business. It should also define the reputation and code of conduct of a business. The aim of branding is to communicate to the prospective consumer that you are the only viable option in the providing of the advertised product or service. To achieve this, you need a strong brand that invokes a positive response the first time it is seen or mentioned. The importance of a strong brand is that it helps to achieve this positive response among targeted consumers.